FEATURE — The Grill, a fast-food establishment located inside the new KB Express convenience store on 930 E. Brigham Road, offers a wide variety of sandwiches and side dishes. Located right across the street from Desert Hills High and Desert Hills Middle schools, the newly opened eatery is already proving popular with the hordes of teenagers that flock there during lunchtime and right after school. But apart from the student-fueled rush times, you can still catch a quick bite with minimal wait at The Grill, which is open from 10 a.m. to 10 p.m. daily. There’s even a drive-up window. Watch Sheldon and Cassie as they get their fill, if you will, of The Grill’s real meal deals in Episode 19 of “What’s on the Menu” in the player above. The burgers on The Grill’s menu range from a simple $1.99 hamburger to a supreme bacon and ham cheeseburger for $5.29. There are a number of specialty sandwiches as well, such as Philly beef or chicken hoagies, or a grilled gourmet prime beef sandwich on toasted bread for $6.49, which includes small French fries. Other popular items include fish and chips, quesadillas, burritos, jalapeno poppers and breakfast sandwiches. Dessert items include ice cream cones, sundaes, shakes, floats and cookies. Various fountain drinks can be custom-infused with assorted flavorings. In addition to the new St. George store, customers can also enjoy The Grill at two other locations: the KB Express stores in Parowan and in north Cedar City. 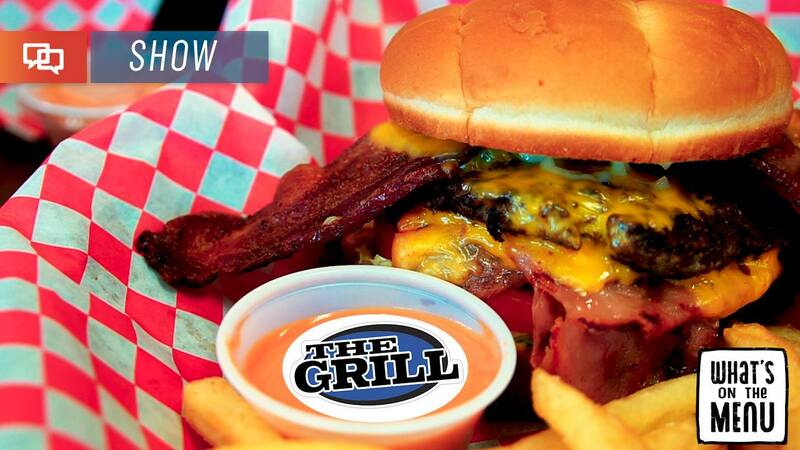 The Grill at KB Express | Location: 930 E. Brigham Road, St. George. (click for map) | Open 10 a.m. to 10 p.m. daily. | Telephone: 435-586-2411 | Website | Facebook.